Augustana College has kicked off the second phase of its latest, major fundraising campaign. The goal is 125 million dollars, and Thursday students, staff, alumni, and donors gathered to celebrate the public phase of "Augustana Now: A Campaign for Success in the World, for the World." President Steve Bahls says the college has already raised 75 million dollars during the so-called "quiet phase" of the campaign. And he's optimistic about completing the rest of the campaign now because the economy is strong. "We're also doing this campaign because the relationship between alumni, students, and the college is good. 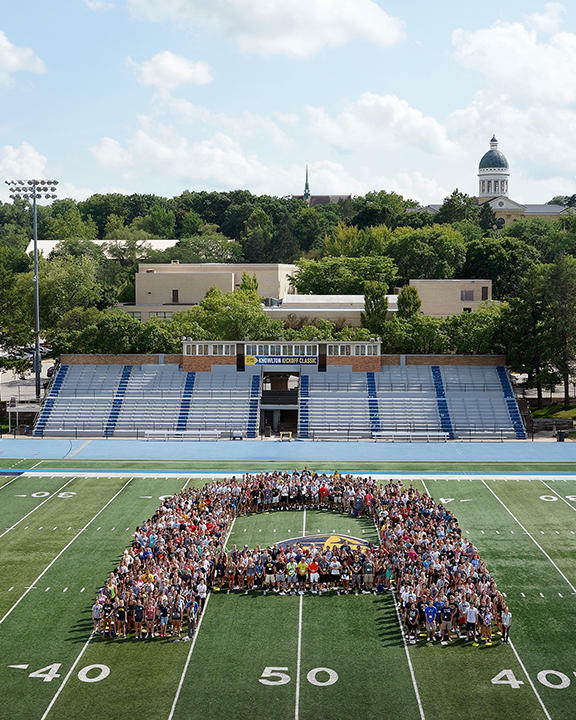 People are feeling good about Augustana, people are feeling optimistic about Augustana, and many have the wealth and the generosity to insure that our future is bright." One of the major focuses for the campaign is building up the college's endowment. "Endowment in a sense is the savings account of the college and we draw out of the endowment betwen four and five per cent each year - to provide scholarships, to provide incentives for faculty to stay, and to continuously improve our programs." Bahls says some of the money raised will pay for building projects, such as the addition to the Hanson Hall of Science, and an upgrade for music programs and the Bergendoff Hall of Fine Arts.